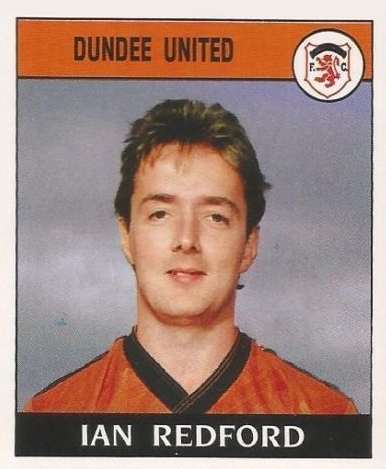 As a boy, Ian played for Errol Rovers, a youth football team set up by his father, before coming through the youth system at Dundee, where he made his professional debut during the 1976-77 season. 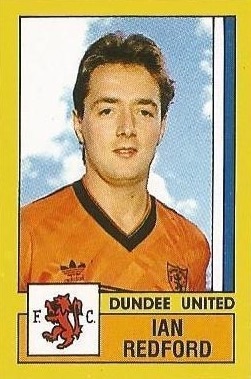 Starting off as a forward, he helped Dundee win promotion to the Premier Division in 1979. In February 1980, he moved to Rangers for £210,000, what was then a record transfer fee between two Scottish clubs. In his first season at Ibrox, he played in the 1981 Scottish Cup final against United at Hampden, seeing his last minute penalty saved by Hamish McAlpine, but collected a winners medal after Rangers won the replay. The following season, he scored the decisive goal in the 1982 League Cup final - again against United. He collected a runners-up medal after losing to Celtic in the 1982 League Cup final, but collected another League Cup winners medal in 1984 - completing an ironic hat-trick against United as Rangers won 1-0. 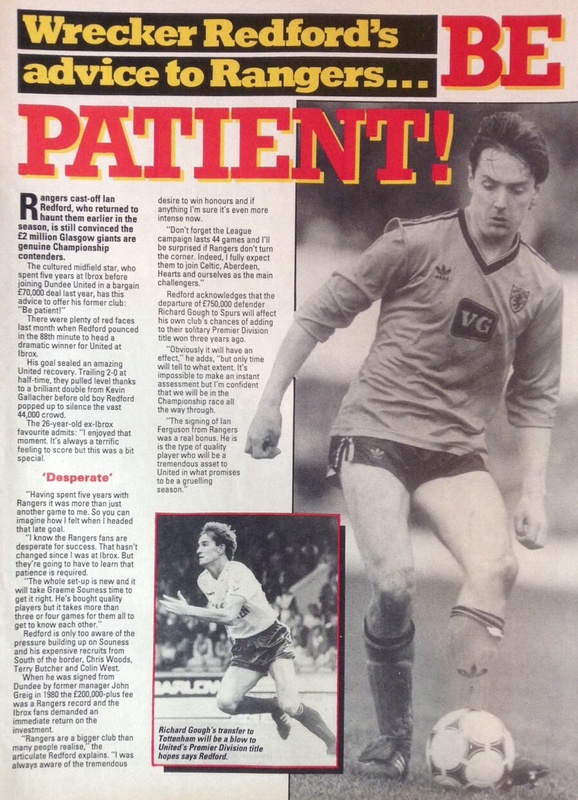 He was first linked with United in May 1985 when it was rumoured he was coming to Tannadice in a swap deal involving Ralph Milne. 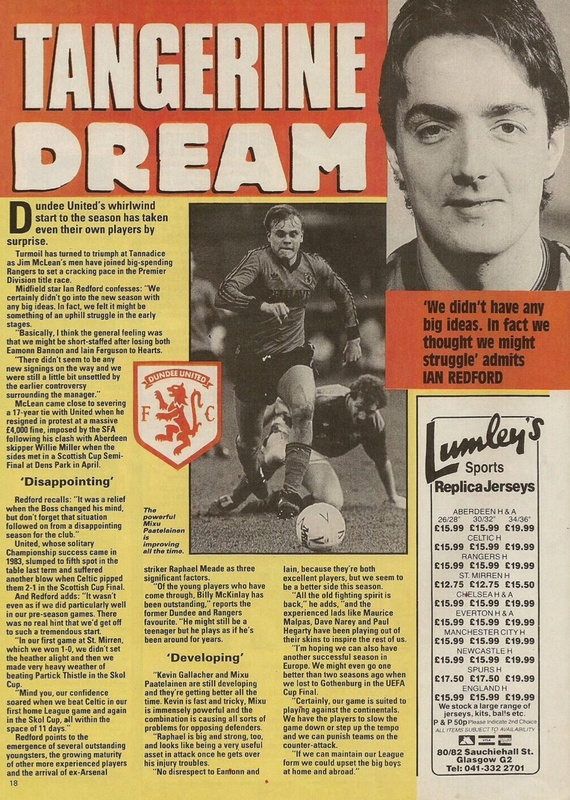 That never happened of course, but three months later the midfielder was signed for £70,000 and made his debut on 17th August 1985 against Aberdeen. He played a major role in United's midfield for the next three years, particularly on the European stage. In season 1986-87, he was influential in the side that won through to the UEFA Cup final, laying on the free-kick for John Clark's famous goal against Barcelona, and scored in the last minute against Borrussia Monchengladbach to confirm United's place in the final against IFK Gothenburg. 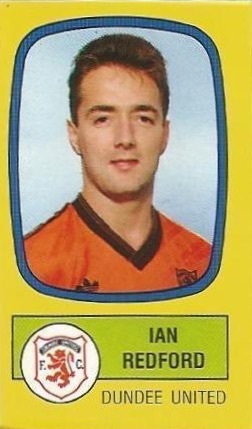 Unfortunately, Ian was on the losing side in that final, as well as collecting a runners-up medal in the Scottish Cup final against St Mirren. 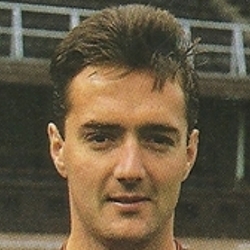 Having previously won youth and Under-21 caps, Ian was one of five United players selected for the original Scotland squad to play Belgium in April 1987, but he was not in the final line up and never gaining that deserved international cap. Having played in all of United's matches on the way to the 1988 Scottish Cup final, he missed out on a place in the line-up for the match at Hampden, as United narrowly lost to Celtic. He was transfer listed in October 1988 after requesting a move, and shortly afterwards he left to join Ipswich Town for around £200,000. He spent three years with Ipswich Town, returning to Scotland to join St Johnstone in August 1991. He then moved on to Brechin City as player/manager and finally to Raith Rovers, where he was part of the 1994-95 team that won the League Cup on penalties against Celtic - his last game as a professional player. When these two sides meet a fast and furious clash can almost be guaranteed and this was no exception, especially in the opening half. 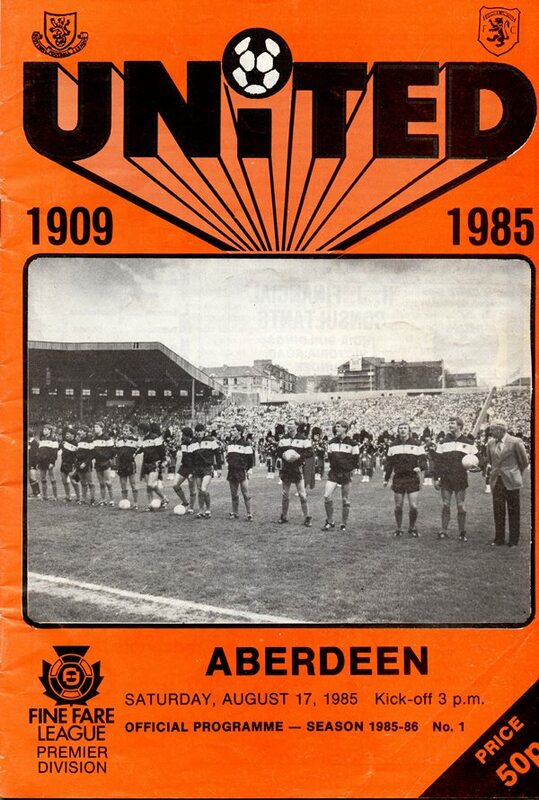 After being on top in the early stages without creating much by way of chances, United fell behind to a superb strike by Stuart McKimmie, whose 25 yarder dipping shot gave Hamish McAlpine no chance of saving. That lead, fortunately, only lasted three minutes thanks to a superb piece of probing by Stuart Beedie. 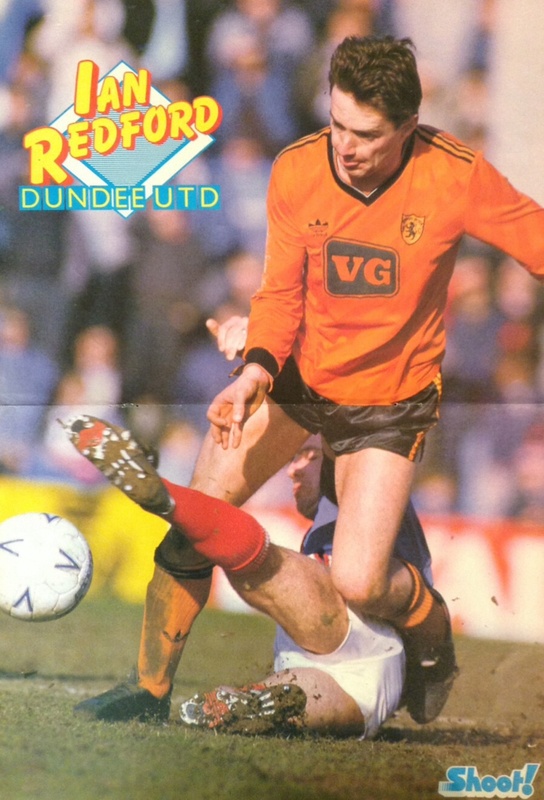 His pass found Paul Sturrock in space and after sidestepping Alex McLeish, Paul slotted the ball past Gunn. Our third successive victory, all by a winning 2-0 margin, took us through to tonight's quarter-final tie with St Mirren. Like Saturday's derby, United weren't quite at their best, but rarely looked like losing a goal. Clydebank did have an early chance when Vinny Moore, once a trialist at Tannadice, went close with a header. An Ian Redford header, straight at 'keeper Gallacher was United's answer. Not until the 22nd minute was the deadlock broken. Stuart Beedie picked up a loose ball, spurted to the bye-line and his cut-back was volleyed in by Richard Gough for his second Skol Cup goal of the season. There was a lucky escape for United before the interval when Gerry Ronald drove in what looked like the equaliser, only to find it chalked off for offside. The Fir Park side may be bottom of the League, but on the evidence of this performance it is hardly a position that they merit. Frankly, we were a little bit lucky to collect both points against a Motherwell side which never gave up. However, as Celtic are finding just now, when luck deserts you everything seems to go wrong. Even the boost of an early goal failed to turn Motherwell's luck. Only five minutes had ticked by when Tom Boyd engineered a goal for Steve Kirk, who stole in to flash a header past Billy Thomson. Motherwell might have had a second seven minutes later when Paul Kinnaird twisted and turned to send a shot just past the far post. Unfortunately a draw wasn't enough to take us into the quarter finals, but we were unlucky not to at least take the tie into extra time.